U.S. 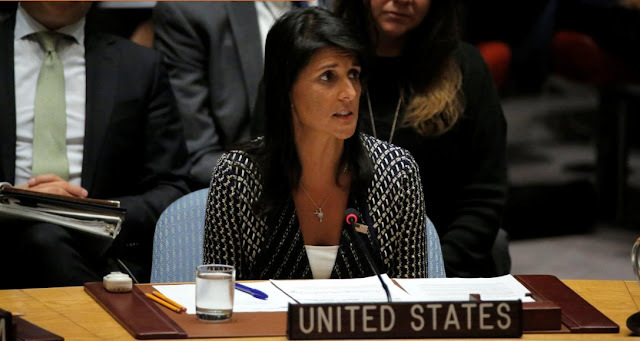 Ambassador to the United Nations Nikki Haley delivers remarks during a meeting by the United Nations Security Council on North Korea at the U.N. headquarters in New York City, U.S., August 29, 2017. UNITED NATIONS - The United States will not allow North Korea’s lawlessness to continue and it is time for Pyongyang to recognize the “danger they are putting themselves in” as the world is united against them, U.S. Ambassador to the United Nations Nikki Haley said on Tuesday.